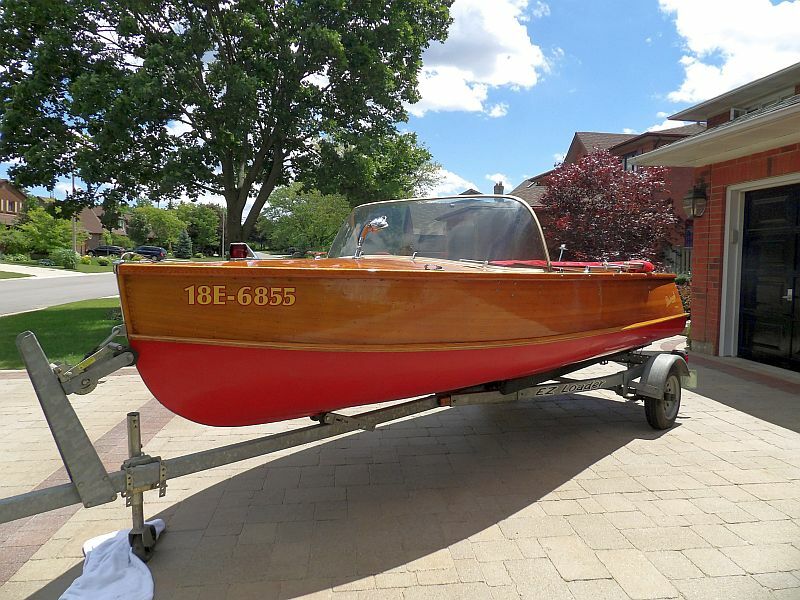 The Nomad is a quintessential “cottager boat” that you can tour, fish and ski from. 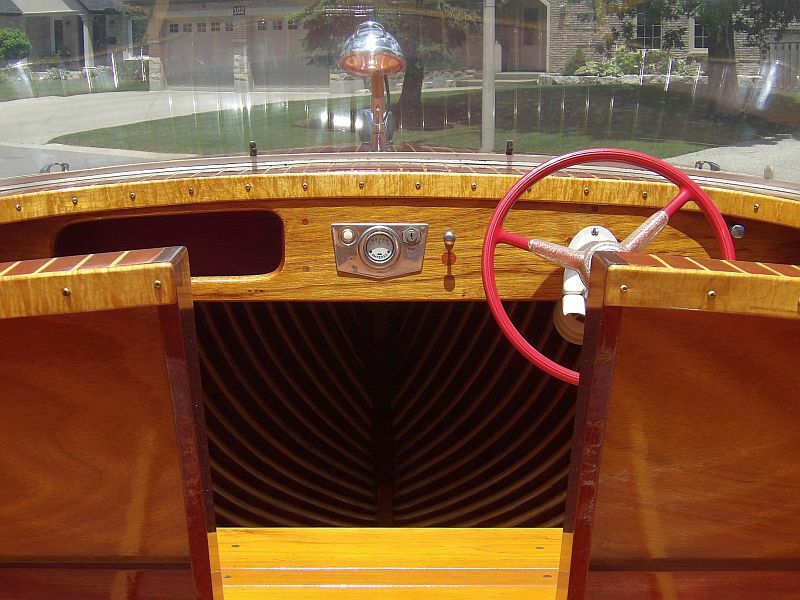 Original cedar hull, with mahogany decks, seat and transom. The chrome is original. 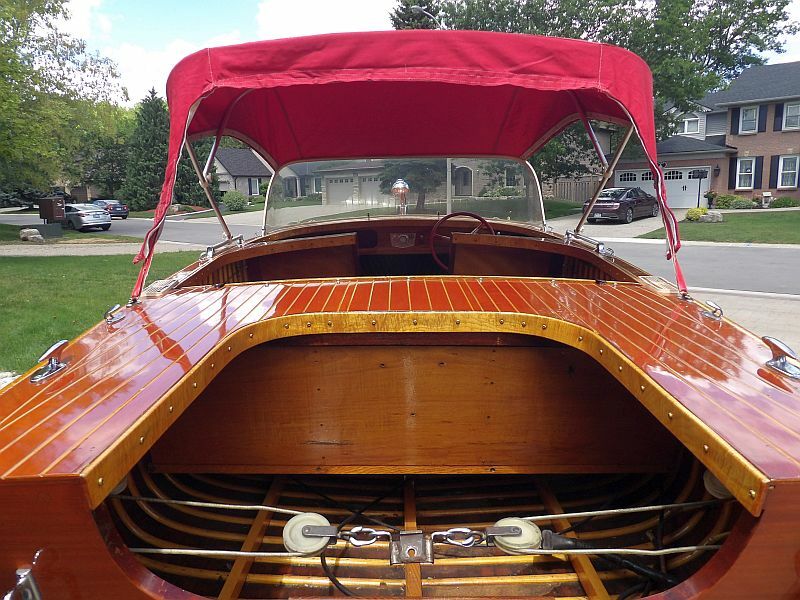 The restoration, including ribbing and an epoxy treatment for the hull, has brought the boat to pristine condition. The canvas top is in great condition and has all the zip-in windows. The mooring cover is brand new and unused. 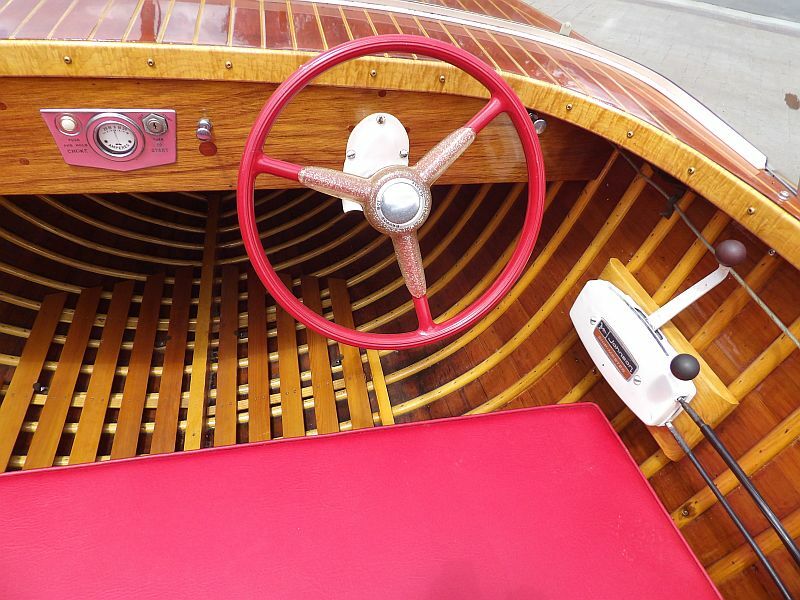 The matching motor is a mechanically perfect 35 hp. 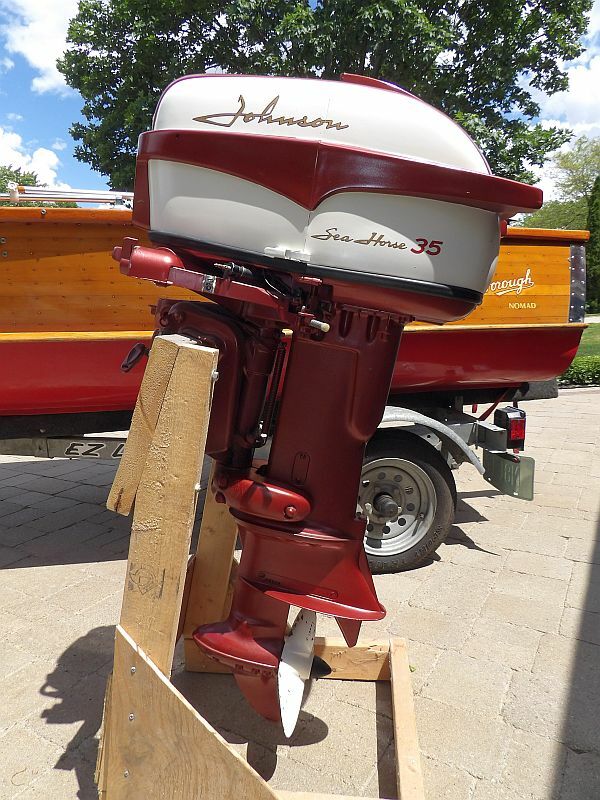 Johnson Sea Horse outboard. (with approx. 4-6 hours of run time) painted in classic maroon and cream. The rarely used modern trailer is in top condition. 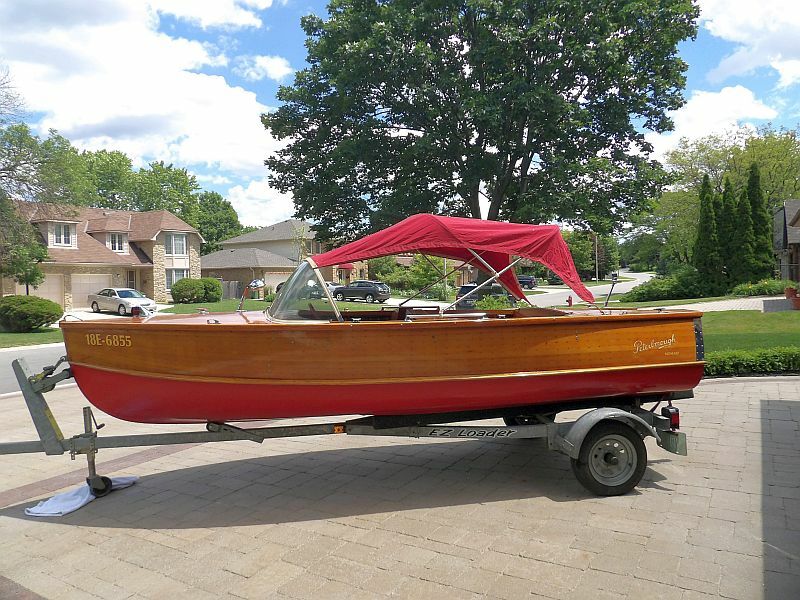 Included are all those accessories needed to enjoy the boat: anchors, vintage skis and swim ladder, brand new bumpers, trailer guides, interior upholstery for seats, etc. This is a complete package. Just add water.